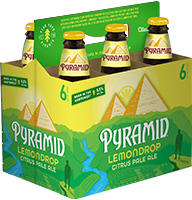 Lemondrop | Pyramid Brewing Co. The perfect destination to any adventure, Lemondrop Pale Ale gives your legs a rest and takes your taste buds down a whole new path. 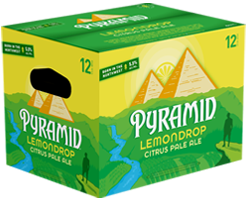 Lemondrop™ hops and real lemon peel provide a big citrusy nose and a zesty, invigorating flavor, while the addition of wheat and oats give it a smooth malt body.